Stanislav Zhelyazkov has been working in IT since 2007. Stanislav has started his IT career as a Help Desk Specialist in 2007 while studying Informatics in the University of Ruse. He also worked in HP Enterprise Services, maintaining large corporate IT infrastructures for clients in Holland, Switzerland and Germany and was involved in a Private Cloud project based on MS Hyper-V and System Center. Currently he is a consultant and Microsoft MVP focusing on MS System Center, Virtualization and Cloud Computing. 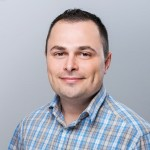 Stanislav is active community member at systemcentercentral.com, one of the worlds most popular sites, a resource site for information and solutions for Microsoft System Center and cloud technologies. His blogposts can be found at cloudadministrator.wordpress.com or systemcentercentral.com.